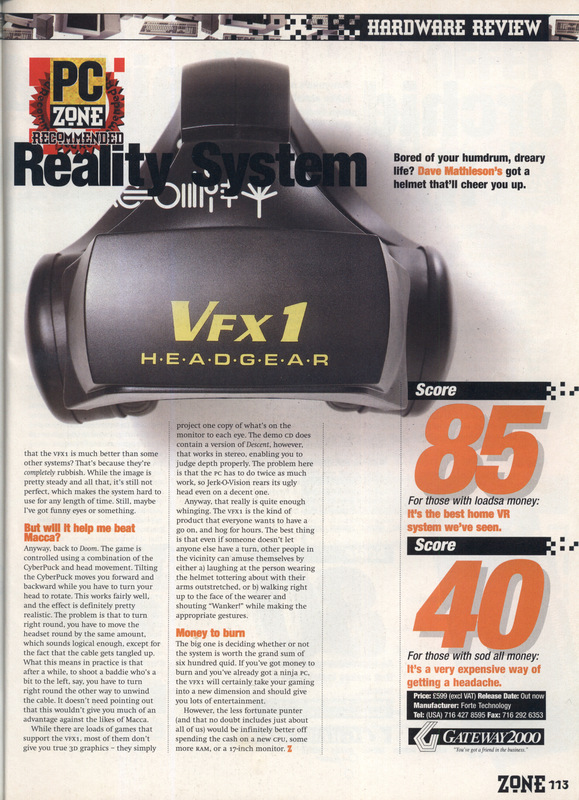 It’s curious how it was assumed this would be first generation VR hardware but it’s more or less as good as it got from a consumer standpoint. I can’t see this sort of tech. 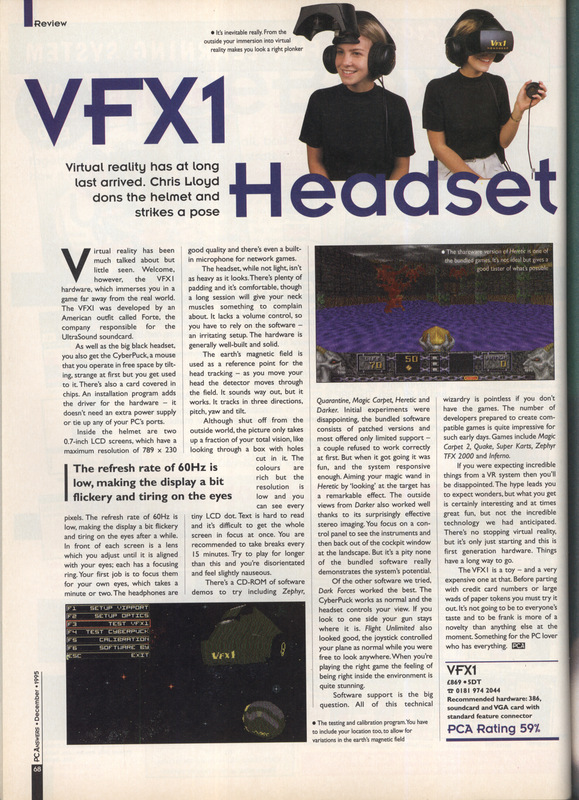 ever being mainstream but we are long overdue for a VR resurgence. 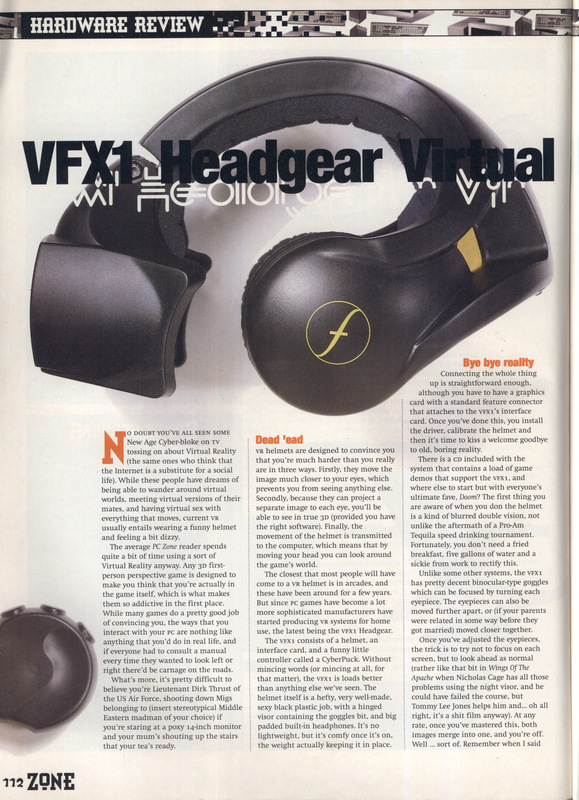 Speaking of which, I’ve not used my VFX1 since I played Wings Of Glory. It must be time to dig out that copy of Descent. 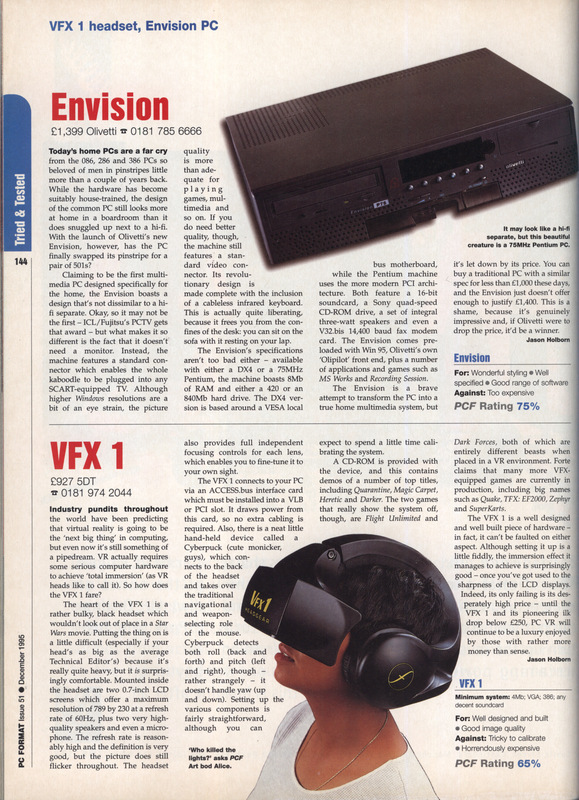 This entry was posted in Magazine Scans, Off Topic by Pix. Bookmark the permalink. I get dizzy enough playing Descent without wearing a virtual reality helmet! I’ve just played the first 3 levels and I’ll admit it’s going to put me off food for a while. I’ve not got the headtracking working properly which can’t help.The 3D is awesome though.